The Metropolitan Emergency Services Board (MESB) supports public safety for the residents of Anoka, Carver, Chisago, Dakota, Hennepin, Isanti, Ramsey, Scott, Sherburne, and Washington Counties, and the City of Minneapolis. Coordination of the regional EMS system. This regional approach to planning and supporting Public Safety Answering Points (PSAPs), radio system users, and EMS providers ensures optimal response to emergencies and large-scale public safety events occurring within the metropolitan region. 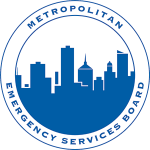 The MESB provides regional leadership, planning, coordination, and support for public safety communications and EMS providers, resulting in efficiencies for local governments and consistent public safety response within the metropolitan region.